Do you have an idea for a Mobile App that you need to bring to market? As a Mobile App Development Company, we have years of experience in building Mobile Apps cheaply and quickly. 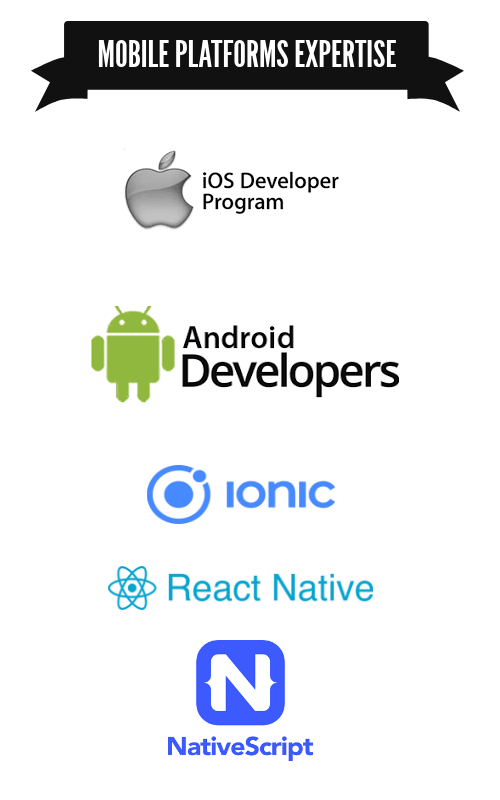 We use the latest technologies like ReactNative and Ionic to build your mobile app for iOS or Android. This allows us to build mobile apps in half the time compared to traditional methods. This results in tremendous cost-savings and maintainable mobile apps for your projects. Our products are designed to support all platforms. Whether its an iPhone or iPad app, or an Android App, we’ll make sure that your app behaves consistently across all platforms. We also take care of the managing the complexity of your app’s distribution channels – whether it is uploading to App Store or Android PlayStore, or continuous updates to your app, we are here to support you. As a Mobile App Development Company, our expertise in these areas is unsurpassed – which means better quality, intuitive UI/UX and responsive app designs for your projects. At Rhoynar, we believe in building a relationship and not just a product. We will work with you to at all steps of the journey to make your product successful. ZFyre is a Longmont based startup providing enterprise cloud data solutions. Rhoynar team developed their secure MVP application including Mobile Application for Android and iOS; which provided data compression, custom security encryptions and RackSpace API integrations. This Mobile application was developed in React Native and we used Node and MongoDB server on the backend. While ZFyre was just looking for a Mobile App Development Company, our solution included Mobile App Development, Web App Development, backend maintenance and a patent-pending Encryption and Key-exchange algorithm that we built into the Mobile App. More. MVP Finance is a Longmont based startup providing educational software in Finance field to different colleges. MVPFinance was looking for a Mobile App Development Company that could understand the motivations of its owners and a vision for the product. Rhoynar team took that vision to implementation and developed the entire mobile application prototype for Student Finance Education. This project was developed with React Native Framework initially for Android platform and then extended to support iOS platform as well. More. ASDI engaged Rhoynar based on our previous projects with them. As a Mobile App Development Company, Rhoynar team quickly ramped up on the project and used the latest frameworks to develop a cross-platform application that could be released on Windows StoreApp for client’s flagship embedded product. The StoreApp supported Windows Mobile Platform as well as Windows Desktop platform and was designed with Ionic Progressive Web App Framework More. © 2014-2018, Rhoynar Software Consulting, LLC.